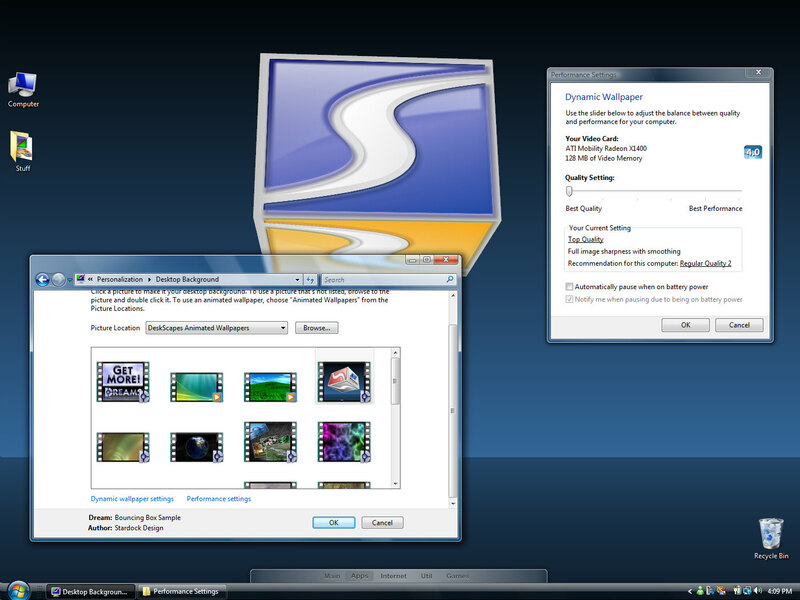 Stardock announced DeskScapes 2.0 today. DeskScapes is a program that allows users of Windows Vista to have animated wallpaper on their desktop. 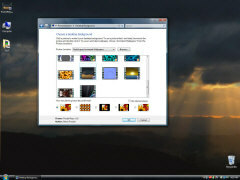 DeskScapes 1.0 was released earlier this year exclusively for Windows Vista Ultimate users. 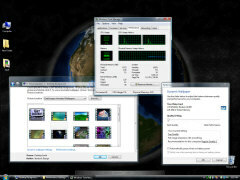 It supports playing video content as animated wallpaper, dynamic content as animated wallpaper, and more. 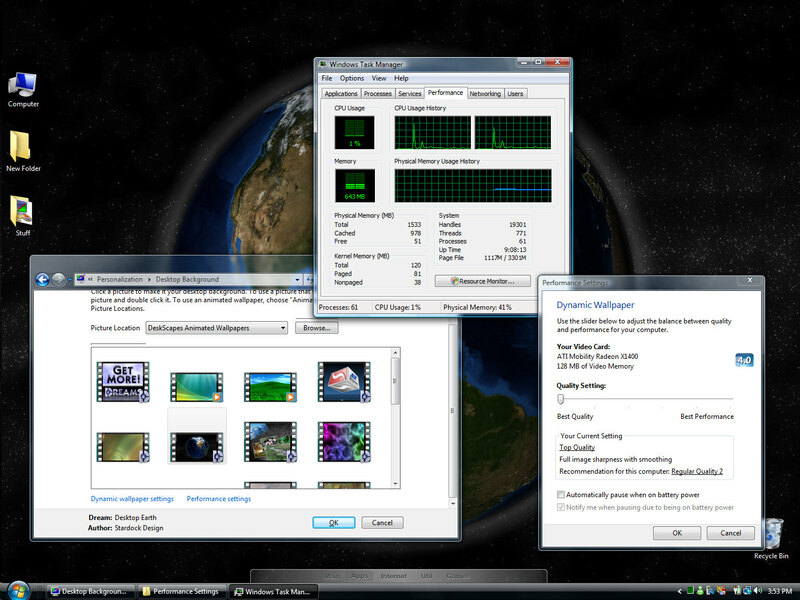 DeskScapes 2.0 will run on all versions of Windows Vista that can run Aero (Windows Home Premium, Ultimate, Business). What makes DeskScapes special is that it can run animated wallpaper and use virtually no CPU and very little memory. DeskScapes also supports the .DREAM format for animated wallpapers which allow for user configuration of individual animated wallpapers, triggers, author info, and more. You can see a gallery of .DREAM files here. DeskScapes 2.0 will be released in February 2008 to the general public. A freely downloable version will be available as well as an enhanced registered version for $19.95 which will also come with Object Desktop. 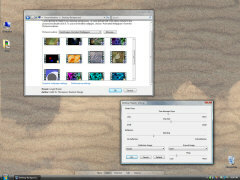 A beta version will be available to Object Desktop users shortly.